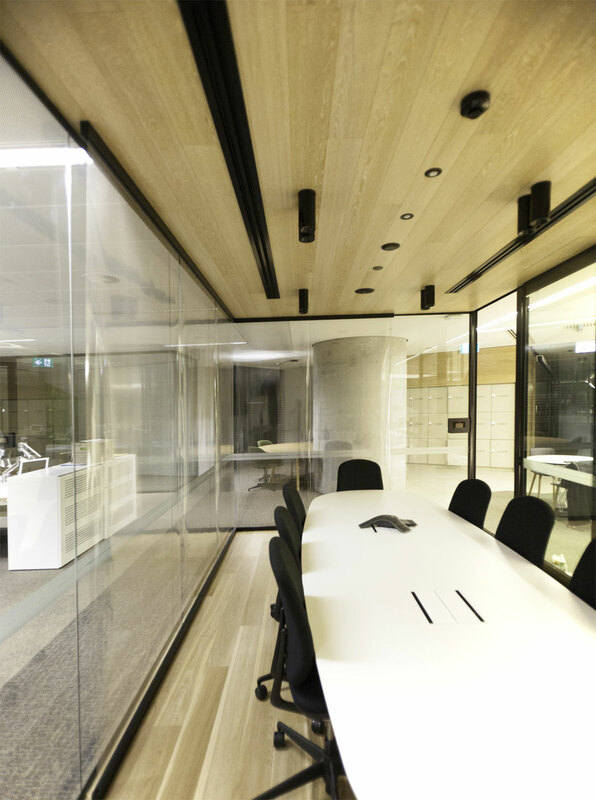 Acoustic Consultants – Wood and Grieve Engineers, Sydney. 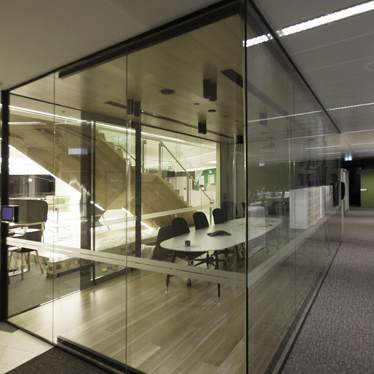 A video conferencing room with three glass walls and a timber floor attributed to complex noise issues in a small room. 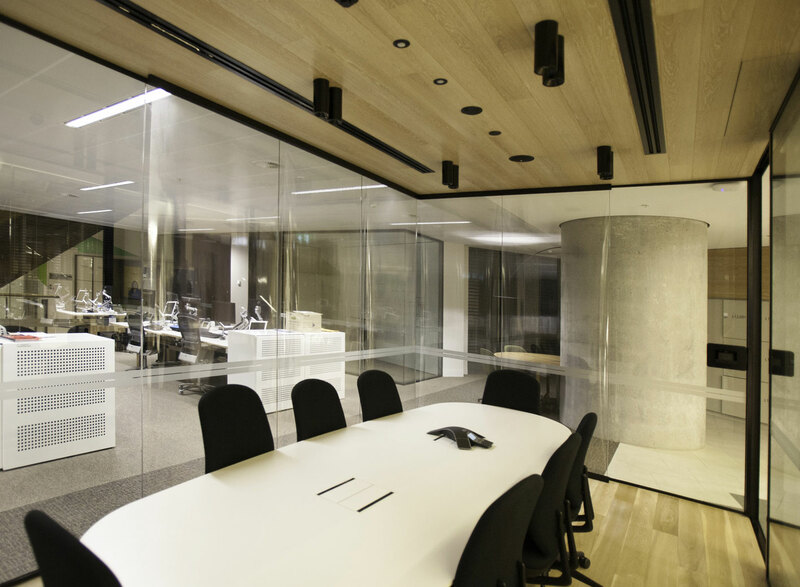 Tight constraints were presented with no wall or ceiling space available to place any acoustic treatment. This left one option, Clearsorber foil. 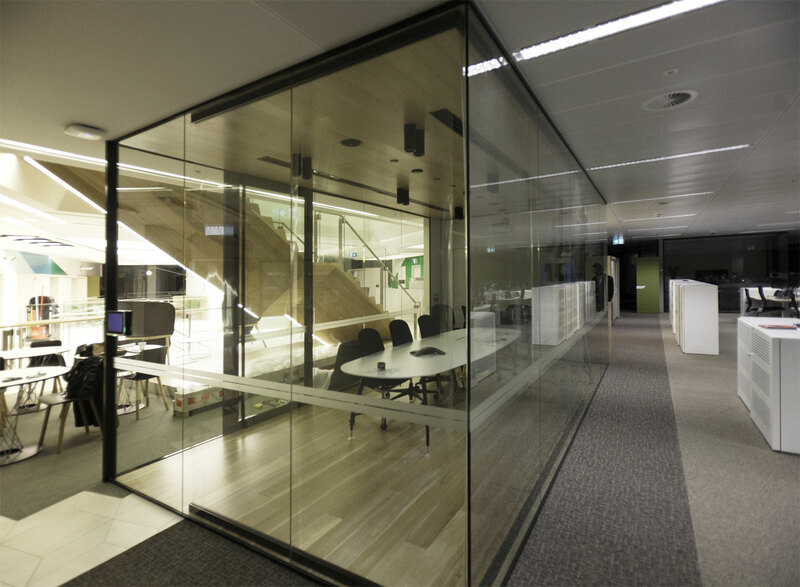 RPG Clearsorber is a transparent micro perforated polycarbonate film that hangs in front of the glass walls. 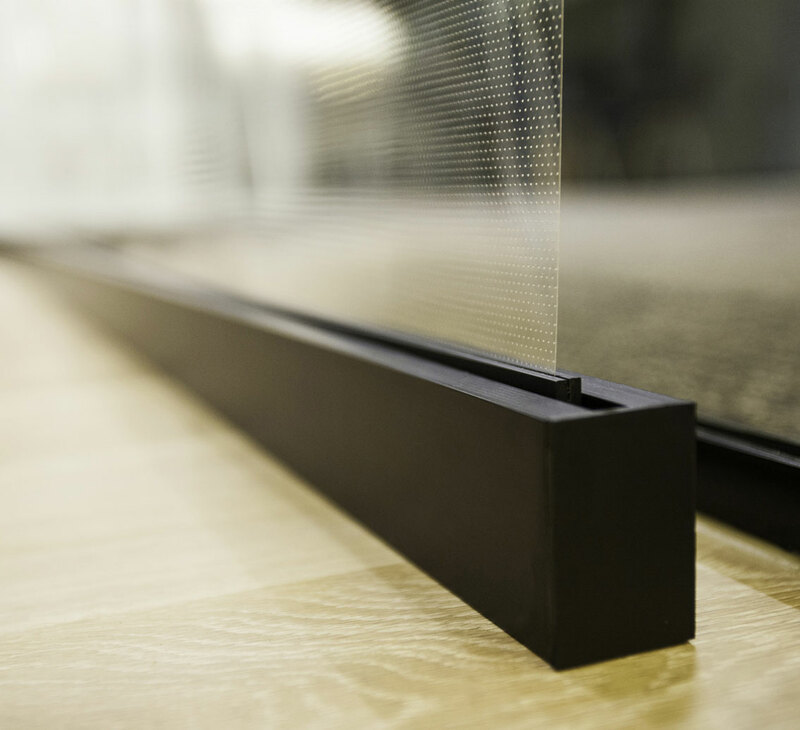 A bespoke tracking system was designed and the acoustic film was fitted into a compact contemporary housing with the foil being held under tension by springs top and bottom. The drops from floor to ceiling lowered the reverberation in the room to a good audible level.